Innovative technology combined with elegant design. 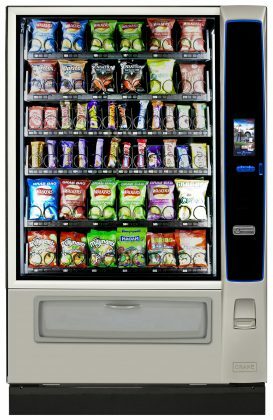 With its wide range of products on offer, Samba offers a flexible vending experience to satisfy all tastes and needs by using cutting edge dispensing technologies, Softvend and Multimax. Stylish and contemporary, featuring a LED lit glass front and elegant aluminium side panels, Samba, with its neat and understated aesthetics, looks good in any environment. Moreover the ETL system (Electronic Tray Labels) offers additional benefits in functionality, in communication and in the ease and speed with which customers – and operators – can interact with the machine. 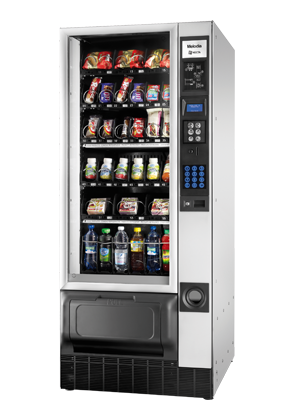 Available in two versions (Classic and Top), Samba ideally addresses a wide variety of vending requirements. 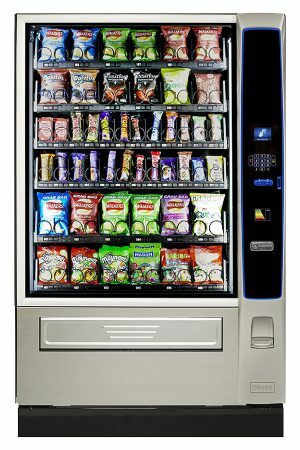 The Merchant MEDIA Touch provides the ultimate vending experience, offering industry leading technology to help drive sales and consumer satisfaction. Crane’s award winning MEDIA platform also enables Crane’s Intelligent Store, Custom Storefront and Brand Advertising to drive consumer interaction and drive sales. 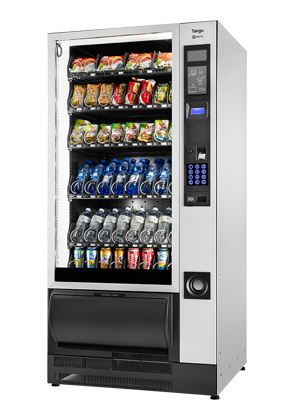 The Merchant MEDIA Keypad provides the ultimate vending experience, offering industry leading technology to help drive sales and consumer satisfaction. Crane’s award winning MEDIA platform also enables Crane’s Intelligent Store, Custom Storefront and Brand Advertising to drive consumer interaction and drive sales. To learn more about Crane MEDIA click here. Necta’s passion for smart vending solutions has led to the development of TANGO, the Snack and Food vendor, which will charm you with its flexible allure. Tango has the capacity to offer a wide variety of products such as snacks, confectionery, fresh food, cans or bottles – or a combination of all five. Simple design and excellent performance combined in a machine that delivers great value for money and enhances any environment from medium to large locations. Moreover the ETL system (Electronic Tray Labels) offers additional benefits in functionality, in communication and in the ease and speed with which customers – and operators – can interact with the machine. With their slender proportions, Necta’s Melodia models can still provide a broad range of dispensed products. 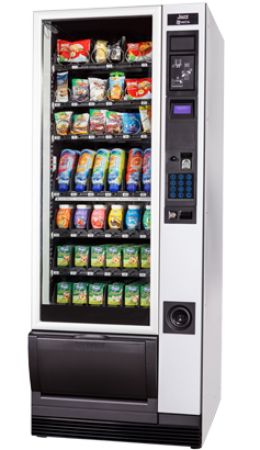 Particularly suited to locations where space is limited, these flexible and reliable vending technologies additionally benefit from elegant design that will integrate the Melodia into its environment. Melodia is available in two versions: Classic and Top. Specifically dedicated to medium locations, Jazz is aesthetically pleasing, with an uncluttered design and a flexible configuration. The large, LED lit window; the stylish, durable user interface and the capacitive numeric keyboard combine seamlessly with advanced electronics. Jazz available in Snack and Can&Bottle configuration and Snack and Food configuration. 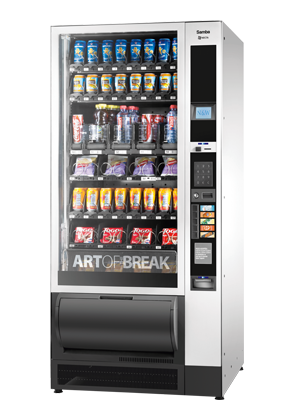 Alone or banked with Opera, Jazz is the ideal machine for today’s demanding vending marketplace.